Dreaming about summer in the Greek Islands? 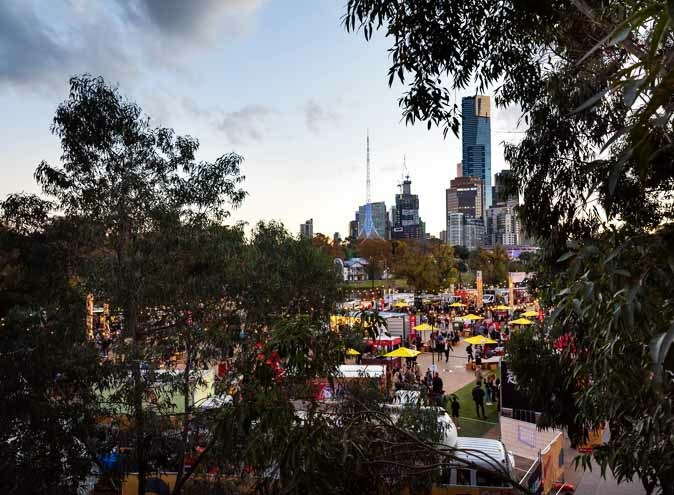 Don’t worry, we’ve found a bit of Greek paradise right here in Melbourne. 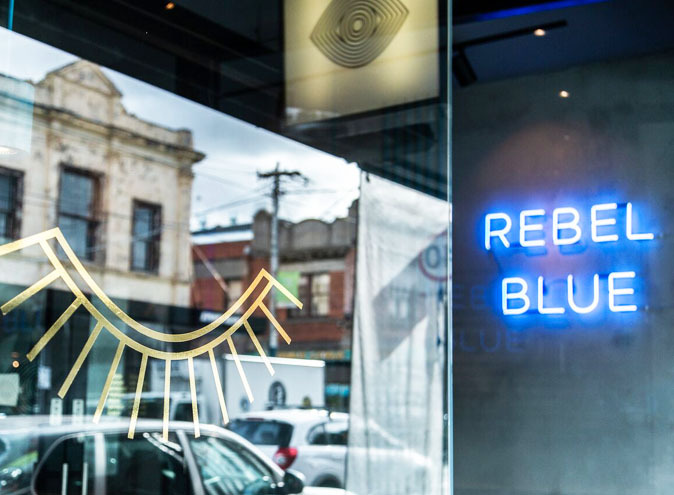 Rebel Blue is the new kid on the block at the Windsor end of Chapel Street. 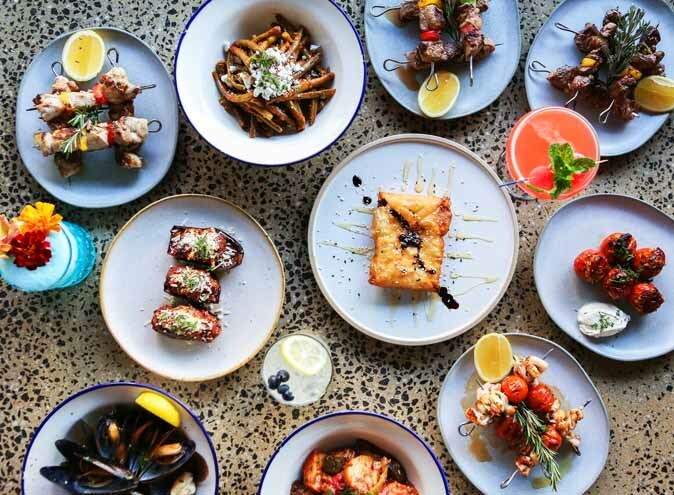 In fact, Rebel Blue is the only Greek restaurant on Chapel Street, and it’s one you must try. 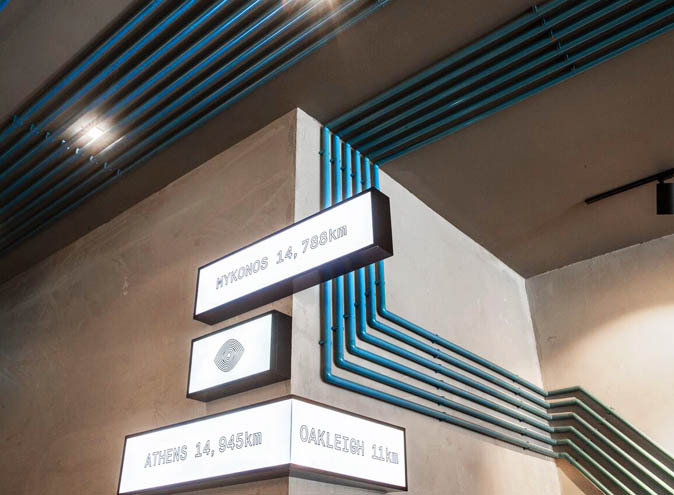 Take a step into the dimly lit room with exposed blue pipes and industrial style benches and you are guaranteed to have an incredible dining experience. 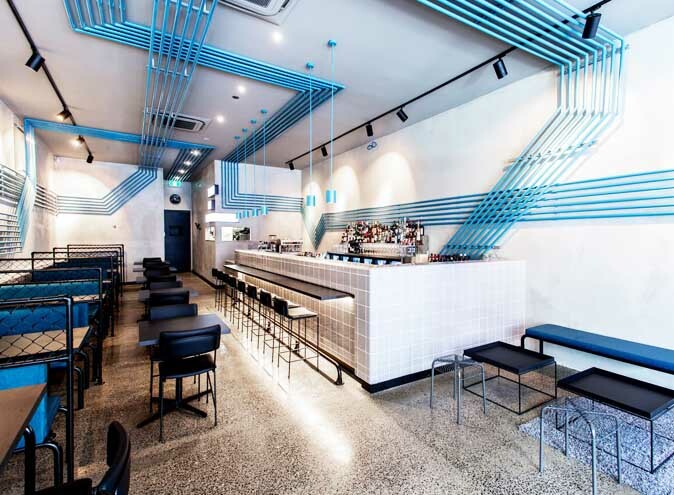 Rebel Blue has taken some Greek influences with a simple blue and white colour scheme but has moved away from the typical tavern look, taking a more modern twist with neon signage and sleek grey tiling. The owner, George Loupos, thanks his mum for the inspiration for their menu. He has been able to take traditional Greek food and given it a contemporary taste as well as making it a tad lighter and less greasy. And now onto the menu, so so many delicious choices. Within minutes of being seated you are brought complementary warm olives (these are totally 10x better than cold olives). Some of our highlights would have to be the saganaki with lemon, spanakopita bites which are essentially spinach and feta triangles taken to a whole new level and surprisingly the broccoli which is cooked to perfection and sprinkled with almonds, feta and olive oil. You can’t forget about the deconstructed souvlakis which come out as 4 skewers with your chosen meat, a choice of tzatziki, yoghurt, feta & capsicum or taramasalta dip (which is underrated) and then of course some pita bread. The king prawn skewers, squid and chicken skewers are the stand outs in our opinion. And lastly, the dessert! You’ve got 5 choices which are all absolutely incredible, but we would recommend the homemade baklava and the Loukomades. Rebel Blue’s loukomades, which are Greek donuts, come out covered in honey and toasted walnuts – literally life-changing. 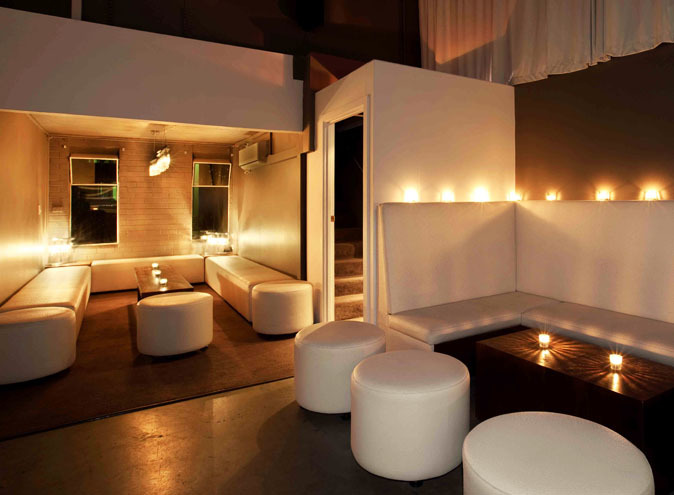 Considering Rebel Blue has popped up on Chapel Street, you’d expect some quality cocktails, and boy did they deliver. Their espresso martini is topped with 2 toasted marshmallows, why don’t all espresso martinis have these?! And another crowd-pleaser is their Mimi the Fuzz, which is a magical combo of gin, watermelon and aperol – it’s like watermelon juice on steroids! 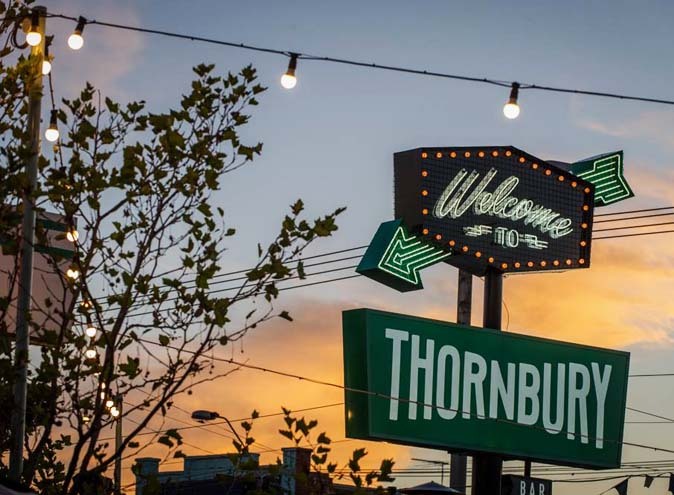 If you’re looking for a new dinner joint you must try out this place. 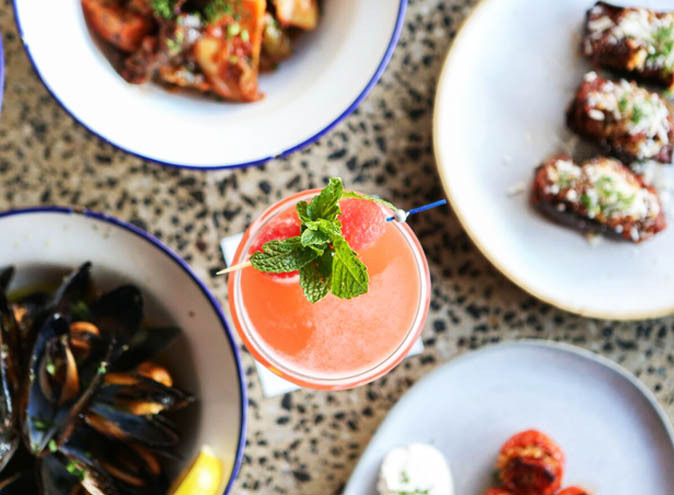 Rebel Blue is just what Chapel Street needed, so look out Asian fusion, this epic Greek restaurant is coming for you! 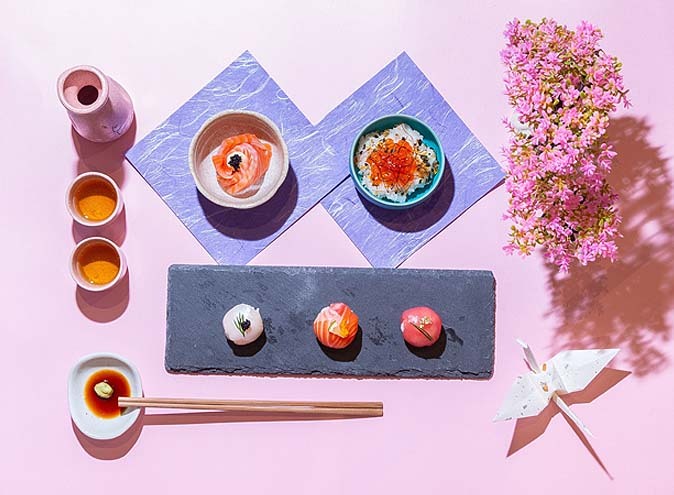 For more information or to make a reservation, head here.